Hoek 6 km from Terneuzen: Large, child friendly holiday development "Marina Beach". At the seaside, on the beach. For shared use: lawn for sunbathing. Nat. Swimm. Pond, basketball, beach volleyball, children's playground, petting farm. In the complex: reception, restaurant, bar, playroom, trampoline, laundry, bicycle rental. Available: boat (extra). Central parking spaces. Supermarket 100 m, indoor swimming pool 10 km. Marina, minigolf 100 m. Nearby attractions: Het Arsenaal Vlissingen 17 km, Deltapark Neeltje Jans 36 km, Abdijtoren Middelburg 22 km, Cadzand 32 km, Brugge 49 km. Please note: entertainment in the season. Suitable for families, baby equipment on request. Groups of teenagers on request only. Fishing [permit required], private mooring (extra). Motorway close by. There are more similar properties for rent in this same residence. All houses/apartments are individually designed/furnished. Guests have unlimited access to the Aquadome Scheldorado indoor swimming pool in Terneuzen, tickets are available at the reception. Preference costs 16.50 Euro. Bookings for workers and work purposes are not allowed. Babies count in the maximum occupancy. It is not allowed to exceed the maximum occupancy. 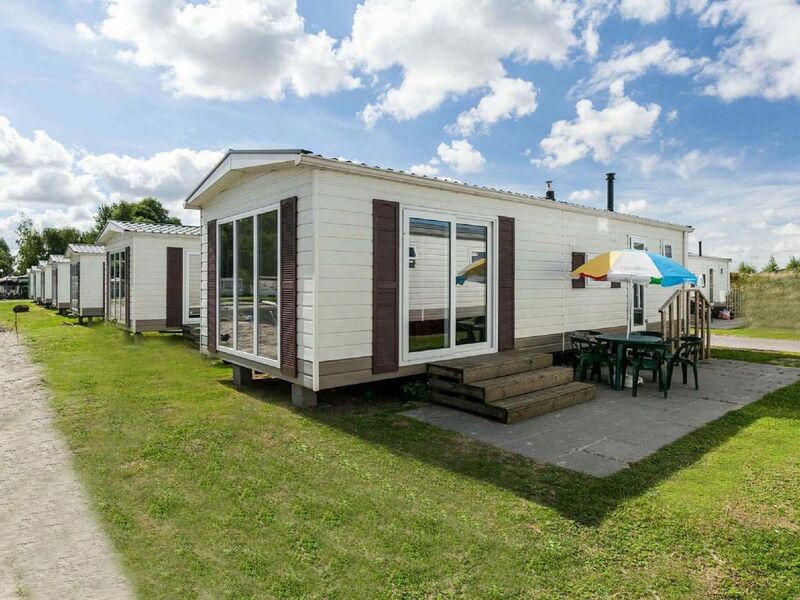 "Noordiek", 3-room mobile home 30 m2. Simple furnishings: open living/dining room with dining table and TV. 1 double bedroom with 2 beds. 1 double bedroom with 1 french bed. Small, open kitchen (4 hot plates, microwave, electric coffee machine). Shower/WC. Terrace. Terrace furniture. Maximum 2 pets/ dogs allowed. When you bring a pet an additional cleaning fee of € 10 applies on top of the pet's costs, to be paid on spot.